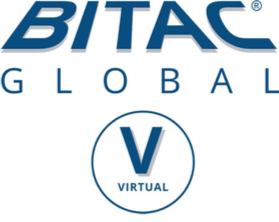 ATLANTA– April 3, 2019 – UgoVirtual™, the provider of a comprehensive digital platform designed to meet the growing virtual event needs of the global travel and hospitality sectors, has been selected to provide the technology behind BITAC Global Virtual, a newly created interactive BITAC event. This unique new digital event will debut as the industry’s first online-only hotel industry networking forum, featuring live and on-demand educational sessions and scheduled one-on-one web conferencing between hotel organizations and top-tier providers. The new event aggregatesthe power of virtual reality, web conferencing and e-learning technologies delivered by the UgoVirtual platform. About UgoVirtual |UgoVirtual™ is a comprehensive digital platform exclusively focused on the global hospitality and travel sector that provides virtualization of industry tradeshows, corporate events, meetings and hotel property tours. As technologies like virtual reality, e-learning and web conferencing have converged, the UgoVirtual platform harnesses their combined power to resolve the pain points and challenges of event organizers, exhibitors and industry professionals, making it possible to BE EVERYWHERE. The brainchild of a group of hospitality and technology industry veterans with over 80 years of combined experience, UgoVirtual leverages a proven digital platform that is currently utilized by many of the world’s leading enterprise organizations to virtualize events, provide on-demand content and allow online collaboration and learning environments. For more information, please visit ugovirtual.com and connect with us on Facebook, Twitter and LinkedIn.